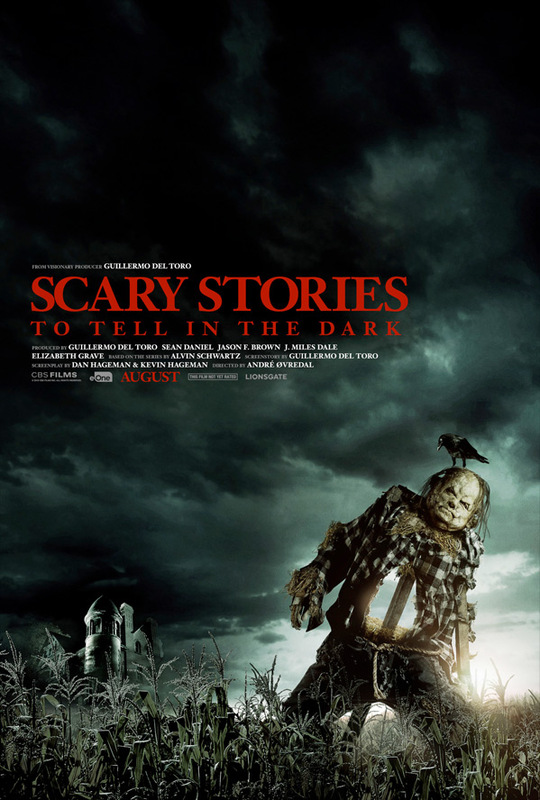 "Based on the iconic book series…" CBS Films has debuted four scary 15-second TV spots during the Super Bowl for the latest horror offering from Guillermo del Toro, an adaptation of the beloved book series Scary Stories to Tell in the Dark. We expect the full trailer to drop soon but for now this is a start. The film is actually directed by Norwegian filmmaker André Øvredal (Trollhunter, The Autopsy of Jane Doe), and it's produced by and co-written by del Toro. The horror anthology features various frightening stories based on the books, most featuring younger kids. With a cast including Zoe Margaret Colletti, Michael Garza, Austin Zajur, Gabriel Rush, Kathleen Pollard, and Gil Bellows. This is a chilling first look, and I'm surprised they debuted this creepy footage during the game - but the teaser was "this Sunday will be scary."